Business disputes often drag on, siphoning time, money, and other valuable resources away from an enterprise’s daily operations and possibly interfering with new business initiatives. 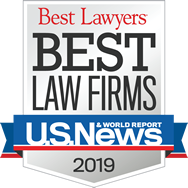 The business attorneys at Strassburger McKenna Gutnick & Gefsky have helped companies resolve legal disputes since 1919, both in—and out of—court. Unfair business practices deployed or alleged by competitors. Of course, some matters involve multiple parties and multiple issues. SMGG business lawyers methodically identify the key issues and parties responsible, and recommend resolutions that most appropriately reflect your business’s best interests over the long-term. Aside from compliance expenses, a large portion of most legal budgets for an entity is typically devoted to litigation. Litigation can be costly, particularly should discovery and other trial proceedings creep along without an end in sight. It’s against this backdrop that the business attorneys at SMGG provide significant value, assessing the cost of litigating against both the cost of not litigating and the potential savings that alternative dispute resolution (ADR) methods may afford. Alternative resolution methods may be preferable to litigation because they can spare participants time, money, and, potentially, public exposure. Strassburger McKenna Gutnick & Gefsky understands the benefits of ADR and considers ADR when evaluating a case. Of course, there may be occasions where litigation is necessary. For instance, your business may decide it needs to take a very firm, public stance against a trademark abuser, non-compete violator, or unfair competitive practices. Our litigation experience makes our attorneys valuable assets to your business. Strassburger McKenna Gutnick & Gefsky brings almost a century of experience in litigating or otherwise resolving complex business matters, and our seasoned team of business attorneys thoroughly understands the importance of getting business back to the business of business. To discuss how our team can better achieve your goals, please contact Harry F. Kunselman at hkunselman@smgglaw.com or Gretchen E. Moore at gmoore@smgglaw.com to schedule an appointment.